All around us was the chaotic debris of bitter combat. Jap and marine bodies lying in mangled and grotesque positions; blasted and burnt-out pillboxes; the burning wrecks of LVTs that had been knocked out by Jap high velocity fire; the acrid smell of high explosives; the shattered trees; and the churned-up sand littered with discarded equipment. -First Lieutenant John C. Chapinin, Third Battalion, 24th Marines. During February and March, 1944, at the Washington Planning Conference, the planners of the Pacific Campaign decided that the primary objective for the near future was to establish a base in the region of Luzon, Formosa, and the Chinese Coast. That objective quickly established the island of Saipan (northern isle of the Marianas) as the next prime candidate. The planners believed that from that base, vital lines of communications from Japan to the Netherlands Indies could be severed. They also believed that bases in the area could be used by B-29 long-range bombers to attack the Japanese home islands. The planners further believed that if an invasion of Japan were to occur, those bases could be used as staging areas for the vast numbers of soldiers that would be required. The operational plan for Saipan, code-named Forager, called for an assault on the island's west side, with the Second Marine Division on the left and the Fourth Marine Division on the right. The 27th Infantry Division waited in reserve, ready to be fed into the battle if needed. The invasion of Saipan was a vital strategic step for the United States forces to defeat the Emperor, and the Japanese knew it. They were dug in and waiting for the Americans to proceed to the beaches before "releasing hell" on them. On June 11th, 1944, Task Force 58 launched 225 planes to the Southern Marianas. The objective of the mission was to take out both Japanese aircraft and air facilities. The strike destroyed between 150 and 215 planes. Over the next three days, the navy flew strikes against Saipan with the further objective of destroying coastal defensive sites and burning the cane fields south of Mutcho Point, to facilitate an amphibious landing. During those three days, another 50 planes were destroyed and 68 damaged. June 11th to the 15th, however, remaining Japanese aircraft created no more than a slight nuisance against the landing force during the entire Marianas Campaign. The most critical phase of the Battle for Saipan was the fight for the beaches. T To succeed, the Marines must establish a beachhead onto which sufficient troops, heavy equipment, and supplies could be brought ashore. On the first day, the marines gained tenuous control of the beaches, but they were not secure, since artillery and heavy weapons fire still rained on men and equipment. Six more days would be required to secure the beaches. On June 15th, 1944, the Marines would show the world why they were referred to as "devil dogs" by the Germans half a world away. With plenty of grit and determination, marine divisions would relentlessly cross the beaches of Saipan. At first light, the Navy fire support ships of Task Force 58, lying off Saipan Island, increased their previous days' preparatory firing involving all calibers of weapons. At 5:42 a.m., Vice Admiral Richmond Kelly Turner ordered, "Land the landing force." Around 7 a.m., tank LSTs (landing ships) moved to within approximately 1,250 yards behind the line of departure. Marines in the LSTs began to progress from them into LVTs (tracked landing vehicles). Control vessels containing navy and marine personnel with their radio gear took their positions, displaying flags indicating which beach approaches they controlled. 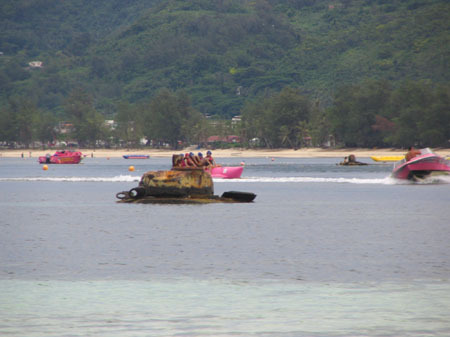 Around 8 a.m., amphibious tanks and tractors began their movement toward the beaches. Seventy-two planes bombarded the beaches as the first waves of the amphibious landing force were approximately 800 yards from the beach. Cover aircraft then shifted their attack inland when the tanks and tractors were within 100 yards of the beach. The main attack of the marine divisions was centered near the southwestern Saipan beach village of Chalan Kanoa. The landing area was well registered for artillery and the Japanese had 16 105mm, 30 75mm, and eight 150mm guns on the high ground overlooking the beaches and were extremely accurate due to the precise sighting in of the guns and the use of bamboo sticks to help in adjusting fire. As the U.S. soldiers stormed the beaches of Saipan, it soon became clear that it wasn't going to be an easy task. Two thousand marines became casualties, but 20,000 were ashore by nightfall. At 8 p.m., a large force of Japanese infantry, supported by tanks, counterattacked the left flank of the Sixth Marines, Second Marine Division. Fortunately, naval "star shells" lit up the sky enough for the defending marines to see the outlines of Japanese soldiers as they lurked in the night. The marines' machine guns and heavy rifle fire, along with the assistance of a battalion of 75mm howitzers, stalled the Japanese counterattack. At 3 a.m. and just before daylight, tanks and infantry attacked the defending marines again. Those last attempts were not strong enough to overwhelm the rugged Second Marine Division. On the evening of the 16th, the 27th Infantry Division landed on Saipan. Their objective was to capture Aslito airfield and to isolate the Japanese in the island's southeast corner. Meanwhile, the Second and Fourth Marine divisions continued their push past the beaches. By the fourth day the Japanese had given up trying to defend the beaches and had moved inland to set up defenses in the hilly and mountainous terrain. 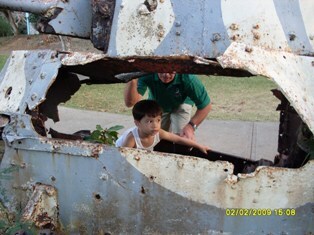 Saipan represented a new prickly problem for an American assault. Instead of a small, flat coral islet in an atoll, it was a large island target of some 72 square miles, with terrain varying from flat cane fields to swamps, to breakneck cliffs, to the 1,554-foot-high Mount Tapotchau. On June 21st, the 27th Infantry Division moved in between the Second and Fourth Marine divisions to conduct a three-division attack on Mount Tapotchau. The 27th Infantry began a grueling fight up the mountain, while the Second Marines continued to move northeast, and the Fourth Marines attacked eastward on the relatively flat, but heavily defended Kagman Peninsula. After two days of fighting, the division's attack against the main Japanese defensive force ground down to a stalemate. The Second Marines were on the outskirts of the coastal village of Garapan, and near the summit of Mount Tapotchau. The 27th Infantry had made minimal progress, and the Fourth Marines had overrun the majority of the peninsula and were nearing the island's eastern side. However, the main Japanese defense on Mount Tapotchau remained intact. 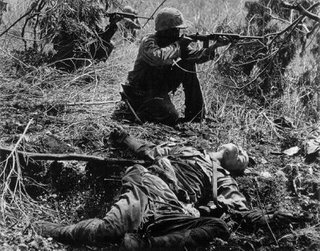 During those two days of fighting in caves, ravines, and gullies, the Second Marines lost 333 men, the 27th Infantry lost 277 men, and the Fourth Marines lost 812 men. American artillery and tanks were generally useless in a jungle environment filled with broken terrain. The fighting was mainly man-to-man with mortars and machine guns providing the heavy firepower. Close air support was nearly non-existent due to the demands of the Battle of the Philippine Sea. On July 5, the 27th Infantry and the Fourth Marines finally captured Mount Tapotchau and pushed northward up the narrowing island. Due to the narrowing of the front, the Second Marine Division was pulled into reserve. On July 7, the battle to secure the Japanese-occupied island of Saipan crested in one of the largest banzai charges of the Pacific War. That charge — which lasted more than 15 hours — brought the total combined Japanese and American casualties for the bloody campaign to more than 30,000. "Suddenly there is what sounded like a thousand people screaming all at once, as a hoard of 'mad men' broke out of the darkness before us. Screams of 'Banzai' fill the air, Japanese officers leading the 'devils from hell,' their swords drawn and swishing in circles over their heads. 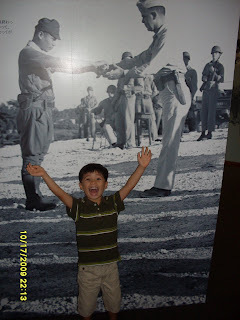 Jap soldiers were following their leaders, firing their weapons at us and screaming 'Banzai' as they charged toward us. Our weapons opened up, our mortars and machine guns fired continually. No longer did they fire in bursts of three or five. Belt after belt of ammunition went through that gun, the gunner swinging the barrel left and right. Even though Jap bodies built up in front of us, they still charged us, running over their comrades' fallen bodies. The mortar tubes became so hot from the rapid fire, as did the machine gun barrels, that they could no longer be used." July 8th quickly became the beginning of the end. The Japanese had spent the last of their unit manpower in the banzai charge; now it was time for the final American "mop-up." LVTs rescued men of the 105th Infantry who had waded out from the shore to the reef to escape the Japanese. Holland Smith then moved most of the 27th Infantry into reserve, and put the Second Marines back on the line of attack, with the 105th Infantry attached. Together with the Fourth Marines, they swept north toward the end of the island. By the time the Americans reached the northern end of Saipan on July 9, thousands of the island's men, women, and children were at the top of the cliffs overlooking the shark-infested waters. And because of pre-invasion propaganda that had been distributed by the Japanese to citizens of the island, many natives were horrified of being tortured and maimed if captured by the Americans. Despite loud speaker efforts of Americans attempting to persuade the enemy away from the cliffs, reason would not come to be. 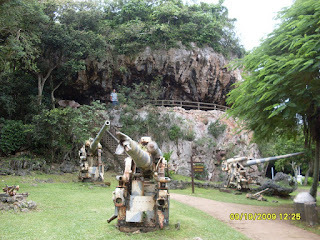 Hundreds of natives and soldiers jumped from the cliffs of northern Saipan (some were thrown by Japanese soldiers), while others committed suicide by holding onto grenades in caves. All but 1,000 of the Japanese military soldiers were dead, along with 22,000 civilians. After the fall of Saipan, Premier Hideko Tojo declared that Japan had come face to face with a national crisis, a crisis that was unprecedented in its history. The following month, Tojo and his entire war cabinet resigned. That liquidation resignation was a major turning point in the war, because until then the military had essentially been in charge of the government. The American drive across the Pacific would be two-pronged. While Nimitz fought his way across the central Pacific, General MacArthur would advance across the southwest Pacific to the Philippines. The islands of the central Pacific either succumbed one by one under the sheer weight of American forces or were bombed, neutralized and bypassed. With their supply lines cut, the defenders of by-passed islands were left to starve. After the fall of the Marshall islands, no other island in the central Pacific would be invaded by American ground forces until the American armada reached the waters off the Marianas and the island of Saipan. American war strategy in the western Pacific was developed around the premise that Japan would never surrender and that the nation would fight to the last man, woman, and child, particularly if the home islands were invaded. It was anticipated that such an invasion, if it were to occur, would result in the loss of one million American lives. In planning for this eventuality, air bases in the Marianas were essential in order to accommodate the new B-29 Superfortress, a U.S. bomber that was just beginning to be mass-produced in early 1944 and which had a flying range equal to the distance from Saipan, Tinian and Guam to Japan and back. The B-29's normal range was 2,850 miles at 358 m.p.h. with a 20,000 ton carrying capacity at 32,000 feet. The capture of the island of Saipan thus became crucial in the preparations for this massive invasion. Below - Bonzaii Cliffs, Saipan. The assault on Saipan began on June 15,1944, almost a week after the invasion of Europe. An armada of 535 ships carrying 127,570 U. S. military personnel (two-thirds of whom were Marines of the 2nd and 4th Divisions) converged on the island. The ships of the invasion force carried 40,000 different items to support the assault - everything from toilet paper to government-issue coffins. A single supply ship carried enough food to feed 90,000 troops for one month. Navy tankers transported the gigantic quantity of petroleum products required to support the invasion. Aircraft alone consumed over 8 million gallons of aviation fuel during the battle, while the aircraft carriers burned more than 4 million barrels of fuel. Seven American battleships and 11 destroyers shelled Saipan and Tinian for 2 days before the landings, firing 15,000 16-inch and 5-inch shells at the islands along with 165,000 other shells of other caliber. To even begin to comprehend the magnitude of this onslaught, one needs to realize that a single 16-inch round weighs slightly more than a Volkswagen Beetle, besides being packed with high explosives. On the second day of the bombardment, this force was joined by 8 more battleships, 6 heavy cruisers and 5 light cruisers. 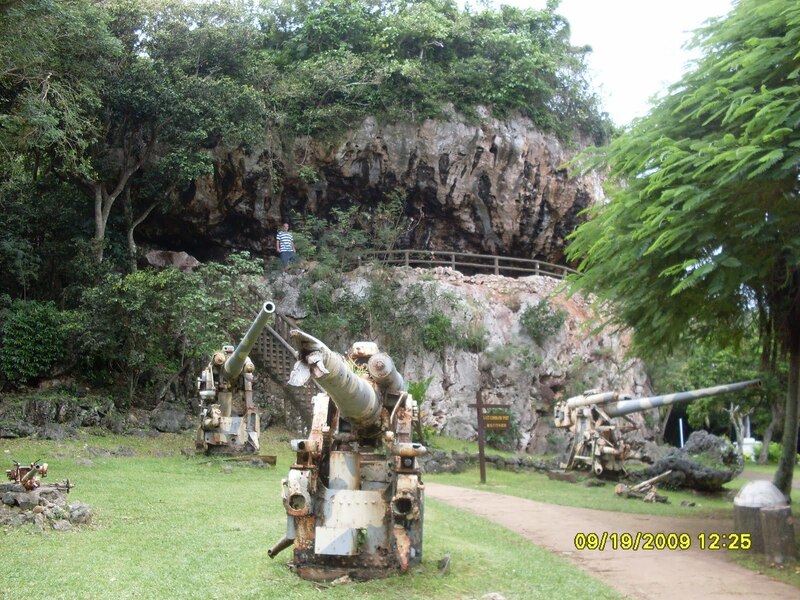 The islands were ringed by American warships with their guns blazing. Shells rained down on the island, its villages, inhabitants, and defenders, gouging huge craters in the sand and coral. The earth trembled under the tremendous explosions of naval bombardment and simultaneous air attacks. The main invasion force landed along 4 miles of beach at Chalan Kanoa. Twenty-eight U. S. tanks were destroyed the first day alone. The Japanese positioned colored flags in the lagoon to mark the range of the landing force and to register their howitzers on the invaders from locations behind Mount Fina Susu, and their shell fire rained down on the advancing American force every 15 seconds in a deadly cauldron of exploding steel. By nightfall of the first day, the Second Marine Division had sustained 2,000 casualties. The fighting continued until July 9th, when organized resistance on Saipan ceased. When the fighting ended, American losses on Saipan were double those suffered on Guadalcanal. Of the 71,034 U. S. troops landed on Saipan, 3,100 were killed, 13,100 wounded or missing in action. Out of the 31,629 Japanese on Saipan, approximately 29,500 died as a result of the fighting, and only 2,100 prisoners survived. Fighting between the Japanese and the Americans was by no means completely mechanized; while ships, aircraft, artillery, and tanks inflicted the largest amount of damage to the combatants, a great deal of the fighting was hand-to-hand. Besides machine guns, flame throwers, rifles, and pistols, deadly skirmishes were fought with bayonets, swords, bamboo spears, clubs, stones and fists. The ratio of battle dead was 9.5:1 during the 24 days of fighting. Place names given the rugged Saipan terrain such as Death Valley, Purple Heart Ridge and Harakiri Gulch testified to the bitter fighting. One of the most lamentable events of the battle for Saipan involved the mass suicide of hundreds of families, many of whom jumped to their deaths from the high cliffs at the island's northernmost point. This tragic event could not be stopped, despite efforts by Americans and indigenous Saipanese using loudspeakers to try to convince the Japanese that surrender would be shameless and harmless. Saipan provided the United States military with its first opportunity to learn about military occupation of enemy territory with a Japanese civilian population. Civilians encountered during the period of the battle and afterward, while emergency conditions still prevailed, were placed in secure camps to keep them out of the way of the fighting. Thus assembled, the U.S. military could better meet their basic needs for food, clothing, shelter and medical care. Schools were established as soon as conditions permitted. In September, 1945, the camps housed 13,954 Japanese, 1,411 Koreans, 2,966 Chamorros and 1,025 Carolinians. Contained within a two square mile area near Lake Susupe, the compounds were primitive and only the bare necessities were available. Weathered boards, tattered tents and battered tin sheets from the island's bombed-out sugar refinery provided the only shelter from the weather. Each hut (han) accommodated from 20 to 55 people. After the fighting, families were released from Camp Susupe during the day to cultivate vegetables, as food was scarce. Food production was increased from 79,469 pounds of produce in September, 1944 to 286,029 pounds in September, 1945. The camp also had a makeshift Buddhist temple, where Shinto religious ceremonies were held. Release from these camps is celebrated as "Liberation Day" by inhabitants of Saipan to this day on the 4th of July. 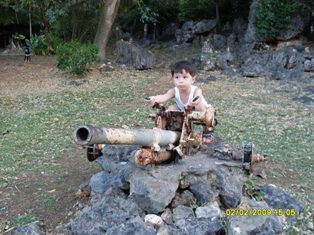 The Japanese on Saipan had a high birth rate - about 300 babies per 1,000 women aged 15 to 45 - and there were many orphans in the camps who were attended and raised by Japanese nurses. Most of these were the children of Japanese parents who had killed themselves during the mass suicide. 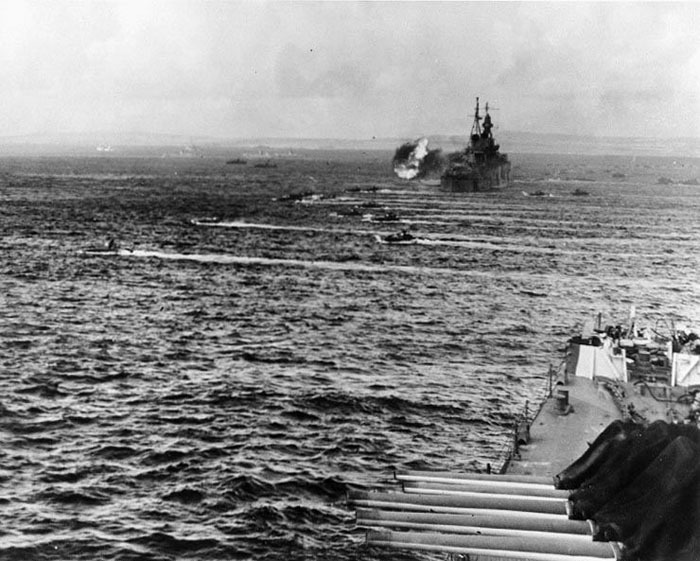 After the capture of Saipan, the fighting continued elsewhere in the Pacific for another 13 months. Camps on Tinian were constructed to house 50,000 U.S. troops and 1.2 million pounds of crops were produced, all of which were consumed on the island. On August 6, 1945, an American Superfortress flying from Tinian dropped the first atomic bomb on Hiroshima, hastening Japan's capitulation. 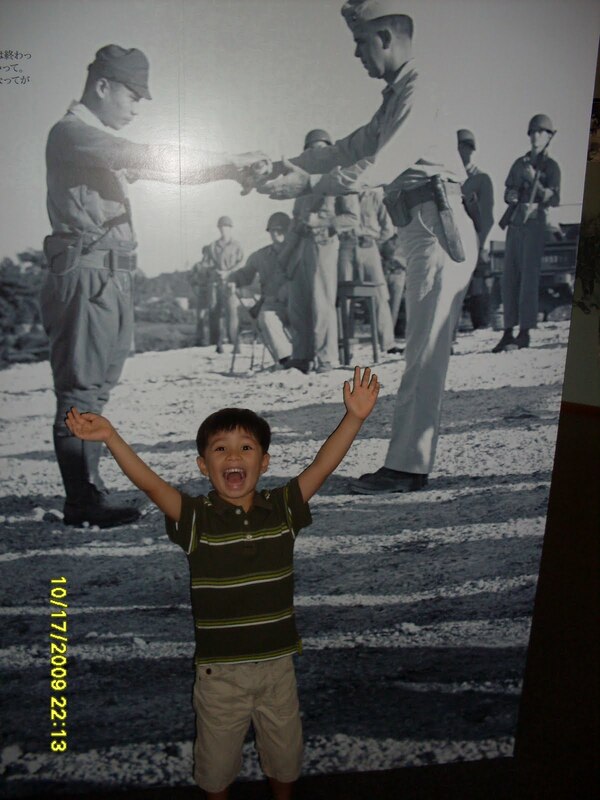 The war formally ended with Japan's surrender on August 15, 1945. The final surrender on the island of Saipan did not take place, however, until December 1, 1945, when Japanese Army Captain Sakeo Oba, who had continued to hold out in the mountains with 46 men as a guerrilla force, surrendered his Samurai sword to Major Herman Lewis and Colonel Scott, USMC. About 90 percent of the civilian population on Saipan survived the war. These included Koreans, Okinawans, and Japanese who were subsequently repatriated to their respective homelands. 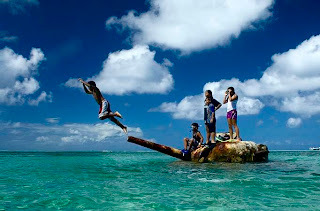 As recorded on December 31, 1949, the indigenous population of Saipan was 6,225. In 1937 23,658 persons had inhabited Saipan (4,145 were indigenous). Four Marines received the Medal of Honor for heroism during the Battle of Saipan. Each lost his life in the action for which he was honored. The four were: Gunnery Sergeant Robert H. McCard, 4th Tank Battalion; Sergeant Grant F. Timmerman, 2nd Tank Battalion; Private First Class Harold G. Agerholm, 4th Battalion, 10th Marines, 2nd Marine Division; Private First Class Harold G. Epperson, 1st Battalion, 6th Marines, 2nd Marine Division. Gunnery Sergeant McCard, a native of Syracuse, NY, single-handedly covered the escape of his crew from a disabled tank. He faced the fire of a battery of anti-tank guns with hand grenades and a machine gun. Sergeant Timmerman, who came to the Marine Corps from Americus, KS, threw himself across an open tank hatch to protect his crew from an enemy grenade. PFC Agerholm disregarded heavy enemy fire and personally evacuated 45 wounded Marines during an enemy attack on an artillery position. Agerholm, a native of Racine, WI, was killed by a sniper as he tried to help two other wounded men. PFC Epperson of Akron, OH, threw himself on a hand grenade, which landed in his machine gun position during an enemy attack. His action saved the rest of his gun crew.